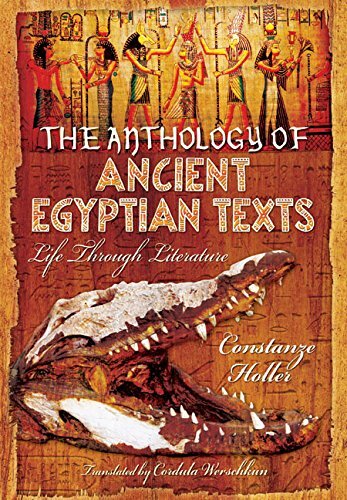 This is the first of two books reviewed here dealing with ancient Egyptian literature, and is highly unusual in its approach. It aims to introduce the reader to the world of ancient Egypt through a series of texts written by the Egyptians themselves. It contains excerpts from 51 documents dating from 3100 BC to the fourth century AD, and represents a unique opportunity to study the original source documents not coloured by the views of modern authors. The book begins with an introduction containing a general but comprehensive description of the ancient civilisation and also included are a chronology and biographical sketches of important individuals named in the texts. The bulk of this beautifully presented work, however, consists of translations of the short excerpts with explanatory notes and analyses of each. It is clear that the book is intended as a teaching/learning tool, as questions are included aimed at stimulating further thought by the reader about the meaning of the content of each item. For the most part, the passages are not from well-known items of literature (in contrast to the Anthology reviewed below), but have been carefully chosen to illustrate a very wide variety of aspects of the ancient society. The work has been written in an exemplary style that makes it accessible to any reader, and deserves a place on the shelves of all Egyptologists, whether amateur or professional. In some ways, this book may be regarded as complementary to the previous one. Instead of short extracts of selected texts, Ms Holler here presents full translations of ten important pieces of ancient Egyptian literature: The Biographical Inscription of the Soldier Amenemheb Called Mehu; The Autobiography of Sinuhe; The Instructions of King Amenemhat I to his son Senwosret I; The Tale of the Shipwrecked Sailor; The Semna Stele from the Sixteenth Year of the Reign of King Senwosret III; The Tale of Two Brothers; Ancient Egyptian Love Poems; The Battle Near Megiddo; The Tale of the Prince and his Three Fates; and Coptic Magic Spells. A bibliography and a glossary of names and terms are also included. For those needing access to the full texts of these works, this relatively brief (95 page) work will be a convenient reference book. However, it should be noted that this is a double translation: from the ancient Egyptian to German and from German into English, rather than a direct translation of the original texts. You could win a copy of this book by entering our Readers’ Competition on page 64 of issue 89 of the magazine. The term ‘lector’ is a familiar one to any student of Egyptology, frequently coupled with the word ‘priest’. A lector priest would be expected to have had an important role in Egyptian religion, performing essential rituals and reciting the appropriate words to accompany them. This new, scholarly study by Roger Forshaw demonstrates that the lector had a far wider role than a purely priestly one. Using written records, reliefs, surviving artefacts and paintings, as well as a wide range of secondary source material spanning a period from 1882 to 2013 and several languages, the author assembles a vast and varied collection of evidence about the activities, equipment and importance of the lector. For example the assemblage from Tomb 5 at the Ramesseum is studied in the text and in the appendices. This tomb contained the equipment the lector would have used, which included wands, magical statuettes of animals and people, paddle dolls, models of food and beads which may all have been stored in an elaborate wooden box. 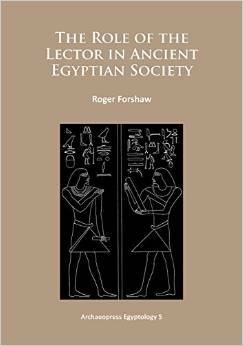 The identifying characteristics of the lector and the range of hieroglyphic representations which can be found are fully explored and conclusions about the role and status of the lector are reached. This comprehensive work should furnish even the most demanding researcher with as much useful information as he or she could wish. Hilary holds the University of Manchester Certificate in Egyptology and is the author of Manufacturers, Mummies, and Manchester (Archaeopress 2011). Find out more about the Lector in Roger’s article on page 29 of issue 89 of the magazine. Stephen Quirke, Professor of Egyptian Archaeology at UCL, is a well-known authority on both texts and material remains from ancient Egypt and a prolific writer on these subjects. 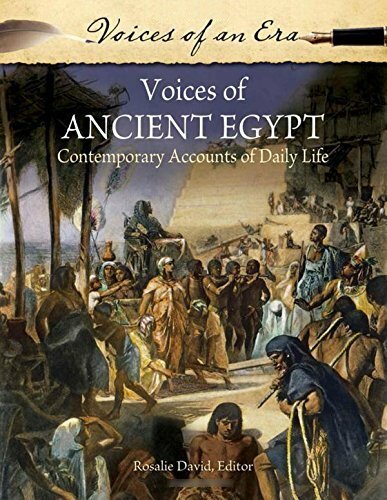 This book provides a new and rather different view of religious practice amongst the ancient Egyptians, drawing on an extensive range of texts, artefacts, contextual information, and anthropological approaches from outside Egypt. The book opens with a discussion of the nature of ‘belief ’, and the challenges of understanding a religion very different from Christianity, Islam and Judaism. Chapters are broadly arranged around the themes of sacred space (temples, tombs and the home as settings for religious action), accounts of creation, the concept of maat, healing practices and afterlife preparations. Although this may sound like a standard set of topics for a book about Egyptian religion, the discussion departs significantly from most previous works of this type by focusing more on what we do not know than what we do. Acknowledging the uneven and partial nature of the archaeological evidence, Quirke highlights various interpretational obstacles modern analysts face. In particular he challenges the traditional Egyptological reliance on texts, as compared to archaeological remains. 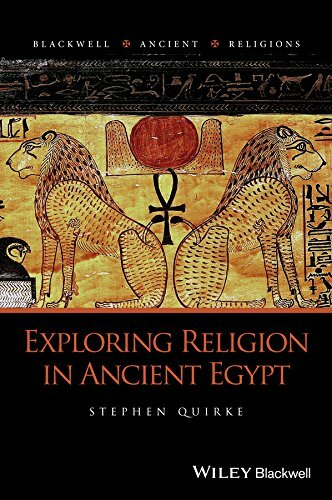 While the style is somewhat less accessible than Steven Snape’s volume on ‘Tombs’ in the same series (reviewed in AE69), this alternative approach to familiar material will reward those with a particular interest in Egyptian religious thought or how we interpret ‘ancient Egypt’ itself. This large format book, 348pp, illustrated in colour and black-and-white throughout, is an extremely useful ‘gathering together’ of a number of the author’s earlier papers published in a wide variety of journals, many presented here as revised and enlarged versions. Bickerstaffe is particularly well known for his special interest in the royal mummies from the Deir el- Bahari (DB320) tomb declared in 1881. Many aspects of these studies are included in the four major sections and fourteen chapters presented. The subtitle of the book well indicates the wide variety of its contents, picking up some of the most contentious arguments in the interpretation of evidence concerning pharaohs, people and events in the New Kingdom. 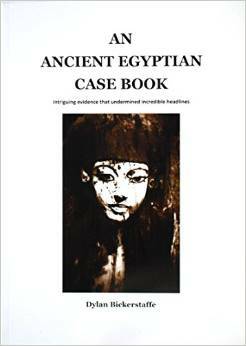 The headings of the four main sections illustrate this: “Deductions from discovery”; “Tales told by enigmatic mummies”; “Unravelling the texts”: “Ancient true stories”; and “An entertainment”. All are supported by excellent bibliographies and informative, at times intriguing, footnotes so the reader can pursue individual interests. It is not a book to be read straight through, nor is it intended to be; the individual stories and evidence are to be savoured, mulled over, and appreciated. In gathering these papers together Bickerstaffe has rendered a great service to the interested layman and also provided a useful vade mecum for often obscure and difficult to locate details. It is highly recommended as such and should, despite its size (A4) find a place on every Egyptological bookshelf. An article by Dylan Bickerstaffe based on his book is on page 51 of issue 89 of the magazine. The decoration on Egyptian Coffins and the religious beliefs behind such decoration reveal a great deal about the Egyptian concept of the afterlife. 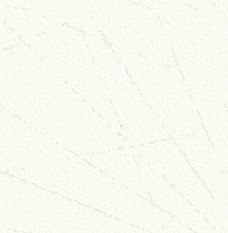 As such they have provided a source of study for many years, although it is only recently that they have been studied in depth. This new publication of ‘Egyptological papers’ looks at the function of the coffin, be it “a container for the body, a substitute body for the deceased, a maternal womb in which regeneration will occur, a tomb, a funerary temple, or a conduit to the dead”. The publication is enticing not only in its subject matter but in the copious number of illustrations which grace its pages; using line drawings and colour, as well as black-and-white, photographs the reader is introduced to the full scope of coffin decoration. The text is presented by academics for academics, and as such this publication is aimed at the professional Egyptologist rather than the general reader. 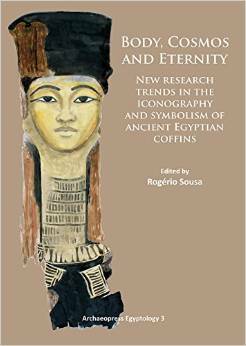 The publication begins with a detailed overview of the development of Egyptian coffins before the scholarly papers are presented. Each paper analyses the coffin decoration from a different perspective and so the articles complement one another in their coverage of the subject. Each paper also contains its own comprehensive bibliography. In the first part of the book these papers look at general developments and trends in coffin decoration, whereas in section two the papers study particular coffins, or sets of coffins, in museum collections. This publication provides an extensive investigation of the subject, which will be of great benefit to scholars, as it opens up new ideas for the reader to view and consider the function of the Egyptian coffin. 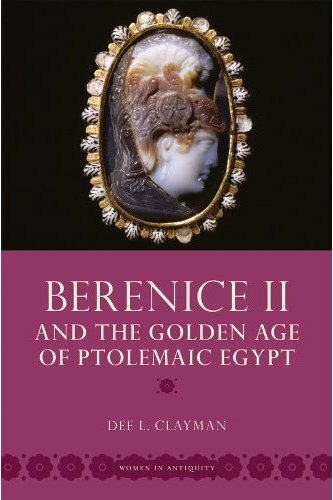 This absorbing ‘biography’ (part of a fascinating Women In Antiquity series which includes volumes on Cleopatra, Arsinoe and the Roman Clodia Metelli) focuses on one of the most powerful and successful Ptolemaic queens, Berenice II. The daughter of Magas of Cyrene (stepson of Ptolemy I), she was betrothed to Ptolemy III Euergetes by her father, but first had to rid herself of her first husband, Demetrius ‘the fair’, the choice (and it seems bedfellow) of her mother. She and her new husband were one of the most successful ‘power couples’ of the period, ruling Egypt for twenty-four years in what could be considered a golden age for Ptolemaic rule, with the empire at its largest extent, mostly plentiful crops, a temple rebuilding programme (in particular the Alexandria Serapeum) and for Berenice herself, many chariot-racing victories at the Olympic Games. But while the couple appear to have been monogamous (unusual for the dynasty) and her husband died of natural causes, Berenice herself was poisoned in the first year of her son Ptolemy IV’s reign, presumably by the king’s order, possibly because she supported the claim of a younger son. She was deified by her son a decade later, but more to gain prestige for the family name (and strengthen is position) than from remorse. Professor Clayman succeeds in presenting an engaging chronological account of Berenice’s life, while at the same time combing through the tangles of fragmentary primary and other textual sources (including the often hostile historian Polybius), which unusually include literature in the form of poetry written for and about Berenice by a range of intellectuals who received her patronage. While some works uphold her as the ideal Greek woman (virtuous and faithful), making her out to be more innocent (“and therefore less interesting”) than she really was, others, including the famous contemporary poet Callimachus (whose work survives through translations by the later Roman poet Catulus), were not afraid to refer to the murder of her first husband. While her descendent Cleopatra’s immortality has survived to modern day, the story of Berenice II is seldom told, although as the author points out in her conclusion, she is the only historical figure to have a star constellation named after her. The burial places of around forty members of the royal family of the Eighteenth Dynasty, whose names are known, have not been identified. Mostly, these individuals are queens or consorts of the pharaohs or princes of that period. 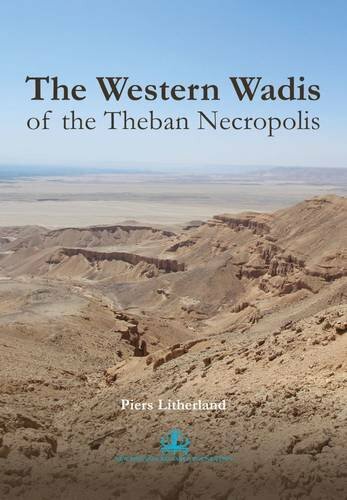 In 1917, Howard Carter suggested, in a JEA article, that the Theban necropolis might extend to the west and north beyond the Valley of the Kings and the Western Valley in a number of wadis . He thought that, in combination with a site (WB1) in the Wadi Bariya, these wadis (named by him “A” to “G”) might prove to be the equivalent of the Nineteenth Dynasty’s Valley of the Queens, and that the female members of the Eighteenth Dynasty might be interred there. Because of his discovery of Tutankhamun’s tomb, Carter was not able to continue his investigation of these wadis, and in 2013 a mission led by Geoffrey Martin was granted permission by the Egyptian Ministry of Antiquities to undertake a systematic survey of them. This book is an initial report on the survey’s findings . The team identified the network of ancient paths linking these wadis and set about walking them, recording as they went signs of human activity, ancient graffiti (some already recorded, some not) and likely sites of ancient tombs. If the hill-top paths were established, as seemed likely, by those charged in antiquity with patrolling the royal tombs, it quickly became evident that the ancient necropolis did, as Carter suggested, extend over a much greater area. In most of the wadis, the team were simply able to confirm previous findings, but they thought that Wadi F, (the most remote) is the likely site of undiscovered Eighteenth Dynasty burials. In Wadi G they found what may be an unexplored cliff tomb and in WB1, they found pit tombs, blocking stones, workmen’s huts and much material dating from Amenhotep III to Rameses II. These tombs, blocked with debris, are worthy of examination. This survey is a very important contribution to the understanding of the Theban necropolis and the history of the Eighteenth Dynasty and the book is well presented and illustrated. My one criticism is that the important features of many of the photographs have been digitally enhanced with red lines that are very difficult to see except in ideal lighting conditions. The British Museum’s “Nubian” conferences focus on “all aspects and time periods of Sudan and southern Egypt’s ancient and more recent past”. Sudan, the largest country in Africa, has a rich cultural (and culturally diverse) heritage recognised by the 1972 UNESCO Convention. Following the decision to build the Merowe Dam at the Fourth Cataract (work on which finally began in 2004), an international campaign, involving many different institutions including the British Museum, was set up to survey and excavate the archaeology along a 40 km stretch of the Nile, an area little studied before this. Since 1999, a vast number of archaeological sites have been recorded, covering over 150,000 years of occupation, leading to a complete rewriting of the history of the area, in particular bringing recognition to the Kingdom of Kush as sub-Saharan Africa’s earliest urban civilisation and forcing a reappraisal of the importance of the cataract areas previously considered to be “poor, inhospitable and marginalised”. This huge volume represents a preliminary assessment of this data, with over 113 papers from the 2010 conference giving an overview of more than twenty missions’ worth of collected data on the (now completed) Merowe Dam Archaeological Salvage Project, its aftermath and impact. The main papers are grouped by period, beginning with the prehistory of the area, Kerma culture, the Kushite Period, Mediaeval kingdoms and Islamic-era Sudan, followed by site reports, research papers and object finds, and ending with a number of multi-period reports and two papers focusing on language and linguistics. Each paper is fully illustrated with diagrams and colour photographs with its own comprehensive bibliography. 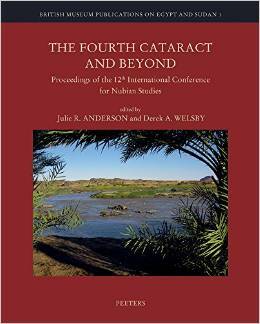 This volume represents a must-have reference for researchers or anyone with an interest the history of Sudan and Egypt. Although so much has been achieved by this project, the work presented here sadly highlights not just the importance of heritage that has been lost to us, but also how much of what survives now may soon be lost to continued urban expansion and future dam projects. 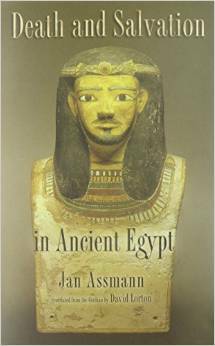 Jan Assmann is arguably one of the foremost researchers in ancient Egyptian religion, having published many books and papers on various aspects of the subject. Originally published in German (Tod und Jenseits im Alten Ägypten) in 2001, the volume was first published in English (translated by David Lorton) in 2005 and is now available in paperback. Despite the complexity of the subject, it is a good starting point to understanding how the Egyptians saw life and after-life. Divided into a number of themes, the book covers the conceptual world of ancient Egyptian mortuary religion and ritual, as well as how mortuary practices impacted ancient Egyptian society in general, and finally the relationship between death and the culture of that society as a whole. Assman takes the whole idea of the ancient Egyptian concept of Death and breaks it down into a number of key ‘images’, which can be found in various texts and tomb reliefs; for example Death the enemy at the judgement of the deceased or Death personified as a journey, to the sky, to the realm of Osiris, or as a return by the deceased’s ba to its homeland. For the bereaved left behind, Assman then considers the rituals and recitations of mortuary texts and liturgies, such as those found in the Pyramid Texts, the Coffin Texts and the Book of the Dead, how funerals took place, and how the dead were provisioned for their eternal existence. Finally, Assman looks at the whole culture of death and what it meant to the ancient Egyptians. As only about five percent of the population could read and write, would they have actually been able to ‘read’ the texts on their papyri and tomb walls? Assman discusses the way that a symbolic image of a tomb’s ‘false door’ was as equally important as a real door to the afterlife. This is no coffee table book; there are no illustrations at all in the 400- plus pages. What this book does give, however, is a scholarly way into a quite complex subject and contains much source material and references. Therefore, it is a worthy addition to the bookcase of anyone wanting to pursue an interest in a fascinating, if complicated, aspect of ancient Egyptian culture.